North of 4th Ave just in time for summer! At 980 sqft, this 2-level home is in the heart of Kitsilano and only steps away from the beach and outdoor pool. This 2 bed, 2 bath suite features a reverse floor plan and partial views of the city and North Shore Mtns. Upstairs, you’ll find a spacious living/dining area with gas fire place, open kitchen and large balcony – perfect for entertaining. Downstairs, 2 large bedrooms with a renovated ensuite off the master. 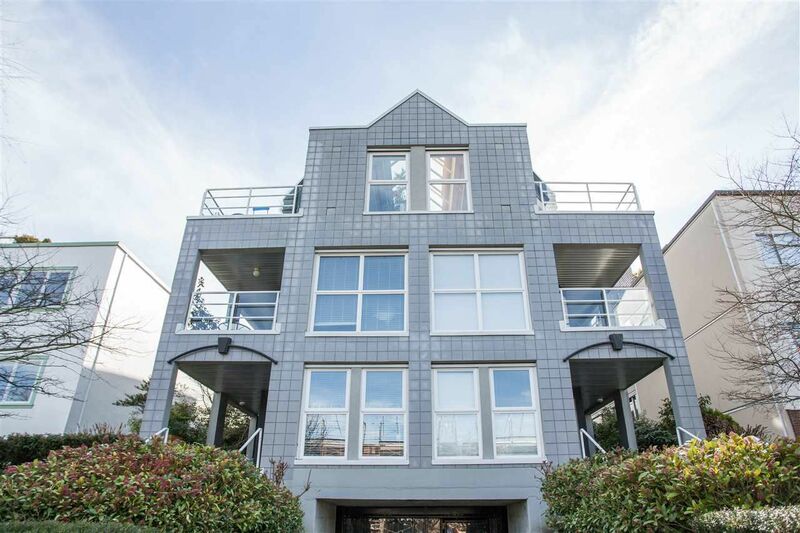 This boutique strata is fully rain-screened with newer windows and roof. This suite includes 1 parking stall & storage. Pets and rentals are permitted. Great schools - Henry Hudson Elementary and Kitsilano Secondary. OPEN HOUSE: April 15, 2-4pm.